« So Long Insecurity Week Six! My Two Favorite Authors Together! Ladies, I have some very cool news. My two favorite authors are joining up for a “Heart of Texas” book tour on Friday and Saturday. Would you like to guess who they are? One is our very own Siesta Mama, who will be signing copies of So Long Insecurity. Woo hoo! Eeeeek! Can you believe it?!?! I screamed like a little girl when I heard the news. 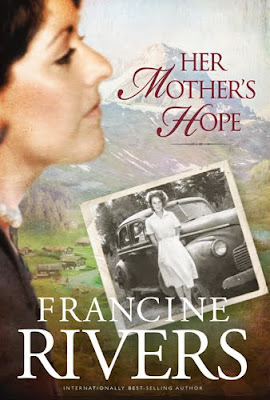 Mrs. Rivers will be signing copies of Her Mother’s Hope, which just released this week. Here are the details in case you’re interested in coming to one of the book signings. *You’ll need to get a free ticket from the store to get in line. *You won’t need a ticket, but the B&N employee I spoke to recommended getting there when the store opens at 9 AM. *You can either get a wristband at the store in advance or call them and have one reserved in your name. (You can pick it up tomorrow or in the store on Saturday.) The wristbands will have a group number that will indicate when you get in line. 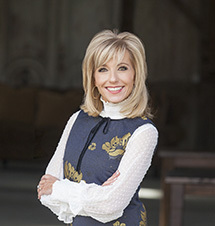 Melissa and I will be at one of the book signings in Houston. (Probably the early one.) We hope to get to meet some of you! And finally, what’s your favorite Francine Rivers book? Mine’s the Mark of the Lion series. I wish I could read it all over again for the first time. This entry was posted on Thursday, March 18th, 2010 at 7:58 pm	and is filed under Uncategorized. You can follow any responses to this entry through the RSS 2.0 feed. You can leave a response, or trackback from your own site. Wish I lived in TX! I LOVED the Mark of the Lion series! I couldn't put it down… She is a truly gifted author and each book of hers that I've read has changed my life… much like those of your mothers! 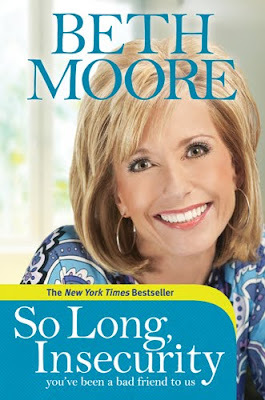 I didn't realize she had a new book out. I'll have to go pick it up and read it! "Redeeming Love" I have probably recommended it to more people than any book I have read! I LOVE FRANCINE RIVERS!!! And I already have my copy of A Mother's Hope!! Reedeming Love and the Sin Eater are probably my two favorites, but I love them all! My absolute favorite book of Francine Rivers is Redeeming Love. I bawled my eyes out with that one. A bunch of ladies and I read it for our book club and we couldn't stop raving about it. It became a favorite for some of us. I love Redeeming Love….who doesn't. BUt I'm with you on the Mark of the Lion series. I think I cried through the entire second book. I can't wait to read your new book. I just got it this weekend. Yes, I am a guy. hahaha. I was in Dallas this past weekend (all the way from Florida and it snowed!!!) attending the Discovery! training along with some friends. One of my friends just happened to be at the bookstore while you (Beth) were there! The sweetheart that he is, bought me a copy and had you autograph it! It didn't matter that I already have a dog-earred, double-highlighted, and flagged copy at home! It absolutely made my day! It now holds a spot right next to my autographed copy of I Married Adventure by another beautiful lady, Luci Swindoll! Thanks so much for being in the right place at the right time! I love it…and you! How fun!! I wish you could come and do a booksigning at our Layton, Utah, Barnes & Noble bookstore!!!!!!!!! Mark of the Lion series with Redeeming Love a close second!! This is the craziest question ever…I just must know where our Siesta Mama found the beautiful shirt on the cover of her new Insecurity book? LOVE IT! This entry was posted on Thursday, March 18th, 2010 at 2:58 pm	and is filed under Uncategorized. You can follow any responses to this entry through the RSS 2.0 feed. You can leave a response, or trackback from your own site.